Australia’s largest food producer Goodman Fielder has accepted a $1.3 billion joint takeover bid from First Pacific and Wilmar, which values the company at 2.5c less per share than their most recent offer. 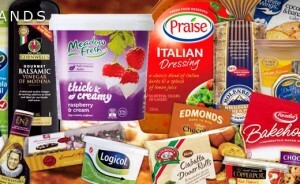 The Hong Kong-based investment firm First Pacific and Singapore’s Wilmar International — which has been pursuing the Australian food ingredient maker for quite some time now — have offered to pay Goodman a 67.5c per share, down 2.5c on their previous offer of 70c a share. According to the article on The Australian, calculations by Business Spectator estimate the value of the deal at $1.32 billion, excluding the dividend, or $1.34 billion, including the dividend, with Goodman shareholders to receive a 1 cent dividend from the company as part of the deal. Goodman Fielder Chairman Steve Gregg said the food maker’s board was unanimous in recommending shareholders accept the takeover offer, saying the proposal represented an attractive value outcome for shareholders. “I believe it also represents a positive outcome for our employees, our customers and our consumers,” Mr Gregg said. The agreement comes as Goodman Fielder announced it expects to be hit by a $300–$400 million charge in its accounts for the 2013/14 financial year. The Group said the charge relates to the challenging trading conditions the company has been experiencing and the outlook for its baking and grocery businesses. According to Indaily, the deal will require shareholder approval and Goodman will appoint an independent expert to examine the offer, with shareholders expected to vote on the deal in November.